Many years ago I lived in Suffolk, England. I don't know if I could have spelled the word genealogy at the time, nevermind have taken the slightest bit of interest in it. Oh, the research I could have done, pictures I could have taken, argh! Oh well, that life isn't it. I can remember visiting Felbrigge Hall in Norfolk, it was a beautiful house and grounds. The original family was long gone, but the name lived on, despite new owners. Thomas, my ancestor, may or may not have shared a common ancestor with the Fellbriggs of the hall, but he did share their name, at least until he came to Massachusetts when the spelling changed. There is a lot of good stuff written about the Philbricks, and as always a few errors, mostly on ancestry.com. I can't claim any new information but maybe I can correct a few minor mistakes. So this is what I know about Thomas Felbrigge of Bures, England and Hampton, NH. Thomas was born in the small village of Bures St. Mary’s in Suffolk, England. 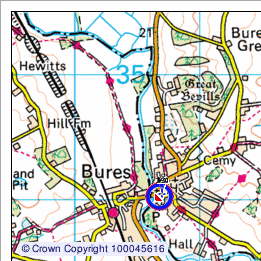 Bures St. Mary’s is on the Stour River, which is the border between the counties of Essex and Suffolk. The Stour Valley was home to many of the original Puritan founders and immigrants to the Massachusetts Bay Colony, including Governor John Winthrop. 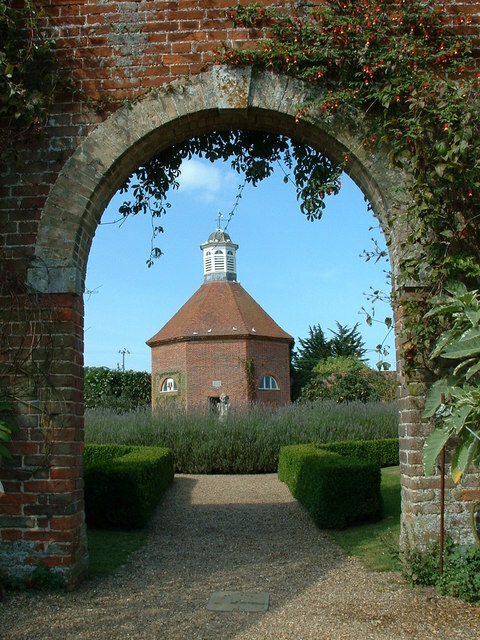 In fact it is only 7 miles from Bures to Groton Farm, Winthrope’s home. The Felbrigge family had lived in the Bures area since the 1400s and as Thomas was the only one of his siblings to leave, they may be there still. The Stour Valley was, at that time, well known for its cloth making and it has been suggested that Thomas' father, Thomas Sr. was a fuller. Fulling is a step in making woolen cloth which involves the cleaning of the wool. On 5 October 1620, Thomas Felbrigge Sr. was appointed "searcher of cloths". A "seacher" was an inspector who was responsible for ensuring the quality and other attributes of the product. Unfortunately, by the 1630s, war, drought, and a poor economy had wreaked havoc on the cloth industry and many of the workers were out of work. Thomas is believed to be the second son and fourth child of Thomas and Elizabeth Felbrigg. The family eventually included ten children, one of which died as an infant. Thomas Sr. was born about 1545 and died sometime after 1621. His wife Elizabeth was buried in 1619. Thomas Jr. was by then a grown man of 37, married with children of his own. It is not known what his occupation was in England. Thomas married in Bures on 4 June 1615 Elizabeth Knop daughter of William Knop of Bures. All of Thomas' children were born in England. 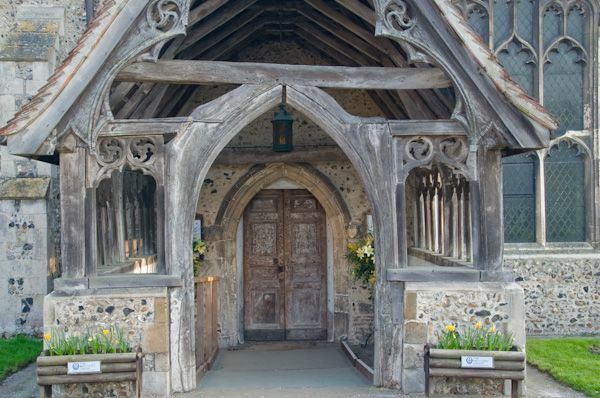 Thomas is last mentioned in the Manor Rolls for Bures St. Mary's in 1631 when he and several other men were charged with converting buildings on their properties to cottages, presumably to rent out. This was apparently frowned upon. There is no further court date until 1 Oct 1635 at which time he and his family were in America. For years genealogist have stated that the Felbrigge family came to Massachusetts in 1630 aboard the flagship the Arabella. The source for this information was given as old family papers. Some also claim that Thomas was actually a mariner aboard the Arabella. Neither of these two bits of information seem plausible and there is no proof of either. We know Thomas was in England in 1631 because his daughter Martha was baptized in September 1631, which means she would have been, now don't blush, conceived in late January, or early February 1631. Thomas was also present at the Court Baron on 12 October. There are no records of Thomas Philbrick in Massachusetts in the very first years. I think it is more likely that he and his family left England in 1635. There were, however families from Bures, and other nearby villages, who Thomas most likely knew and who did sail in 1630. The Knapp family as well as the French family would have been known to the Felbrigges, and they both were part of the Winthrop Fleet. In fact Thomas' son would marry one of the Knapp daughters, maybe that is who the family papers referenced. Any hoo, when Robert Charles Anderson of the Great Migration series says Thomas came on the Arabella I'll change my story, but until then I'm sticking with 1635. Watertown, one of the first towns of the Massachusetts Bay Colony and many of its first citizens were immigrants from East Anglia and the Stour Valley. By November 1635 Watertown declared that it was "full" and would accept no more proprietors. Thomas was obviously there by then as he was given land in the 1636 great Dividend. Thomas did not have a prominent role in the foundation of the new town, his name is first mentioned in the Watertown records in late 1640 when he was "ordered to set up a house at the waterside, provided it be for a house to receive stray goods according to ye order of the court". Hum, not sure what that means. Thomas was given land in six divisions including a home stall, meadow, upland and a large farm of 127 acres in the third division. By 1642 almost all the land had been given out and unlike other new towns, no land was set aside for later distribution to the next generation, nor were there any "children's lots". Thomas' sons had to look elsewhere to find their lands. In 1639 his second son, James, left Watertown for the new plantation of Hampton. In June 1640, John Philbrick was granted his first lands in Hampton. According to the Chapman article on the Philbrick family, Thomas sold his Watertown property to one Isaac Stearns in Jan of 1645/6 and joined his sons in Hampton. He was by then 62 years old. He bought land from Captain Christopher Hussey. In his will he left multiple parcels of land to his children including a house lot, orchard, marshland, and a share in the small ox common. His name does not come up much in the records of either Hampton or Essex County. In 1648 he was in court to record a receipt and in 1650 he filed against William Aspinhall of Hampton for "granting an attachment against him contrary to law". 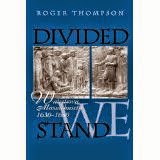 He had been covenanted to provide the town of Hampton with powder, bullets and match. The lawsuit had to do with this. In 1655 Thomas was appointed the job Culler of Staves. A large part of the Hampton economy centered on the production of wooden staves used to make barrels. Elizabeth, of whom very little is known, died in Hampton in Feb of 1663/4. Thomas wrote his will about one month later on 12 March 1663/4. It was proved on 8 Oct. 1667, Thomas was 83 years old, a great age in those days. His estate was valued at 124 pounds. see below for his will. 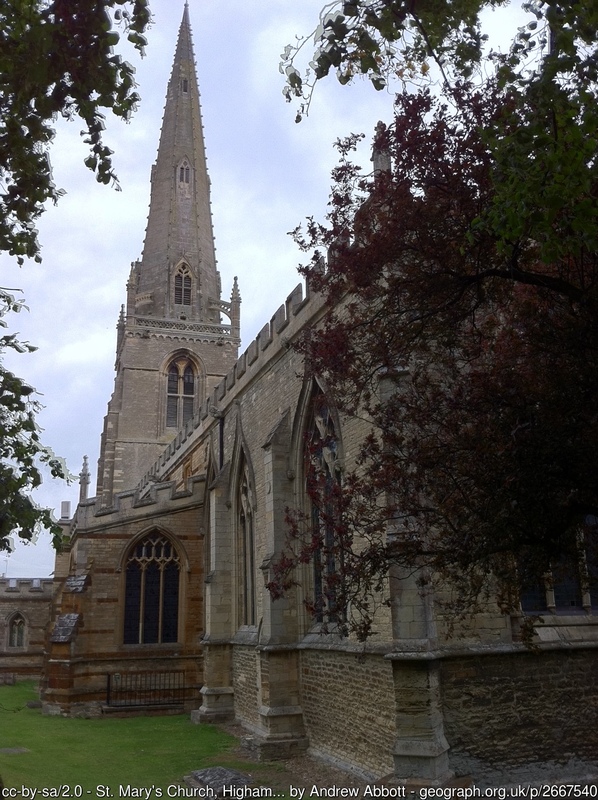 John was baptized at St. Mary's in Bures on 1 Oct. 1616. He was 19 when the family left England for Massachusetts. He left Watertown and settled in Hampton in 1640. He married Ann in Hampton and had seven children. He, his wife and daughter Sarah drowned on their way to Boston, when they were "cast into the sea" on 20 Oct. 1657. His son Thomas lived with his grandfather after John and his wife died. She was baptized in St. Mary's on 31 Oct of 1621. She married three times. Her first husband was Thomas Chase of Hampton they married in 1642 and he died in 1652. Second she married John Garland of Hampton, they were married on Oct. 26, 1654. They were married for only seven years when he died in 1661. Thirdly,﻿ she married Henry Robie, also of Hampton. She died in 1677. Thomas was baptized on 7 March 1623/4. He died 24 Nov. 1700. He married Ann Knapp, daughter of William Knapp of Watertown and previously of Bures St. Mary's. William was probably a kinsman of some type of Thomas' mother Elizabeth Knop. In 1651 he settled on land in Seabrook. His wife Ann died in 1669 and he married Hannah French White, widow of John White of Haverhill, daughter of Edward French of Hampton. Hannah's baptism is not recorded. She married Phillip Lewis of Dover, Hampton and Portsmouth. Mary was married twice, first to Edward Tuck of Hampton in 1648. He died in 1652, she remarried to James Wall. Martha was baptized 4 Sept. 1631, last of Thomas' children. She was only a small child when the family came to America. She married twice, first to John Cass of Hampton in 1657. He died suddenly in bed in 1675, she married second to William Lyon. If you read the manor court rolls from Bures St. Mary's you might like to know a bit more about the terminology. This is a very informative explanation about the Manor system, still used in the time of Thomas Philbrick. A system of policing and law enforcement found at the lowest level of society; later part of the manorial system of administration of justice and, by extension, that of towns. It hearks back to the earliest application of the "jury" in Anglo-Saxon England which relied on the knowledge of an accused man's peers and neighbours to vouch for guilt or innocence. Late Anglo-Saxon law required, in most parts of England, every commoner, (unless part of the household of a lord), to be a member of a "tithing" – "ten people" (although in practice groupings were not necessarily of the exact number) – later known as a frankpledge. Tithings were grouped into larger units known as hundreds. The tithing was communally responsible for ensuring that any of its members accused of a crime appeared in court to answer for it, or for the pursuit and capture of a member who fled. (failing that, the group could be answerable for compensating an injured party); they were essentially pledges for the behaviour of their members. The group was also responsible for bringing to the court's attention, through presentments made by their leader (the tithingman – later known as the capital pledgem that is, chief pledge), any crimes committed by its members. These presentments were made by the capital pledges together, acting as a jury representing the local community, and might also extend to identifying crimes committed by others outside the tithing system. What were called "views of frankpledge" were held periodically to ensure that all adult males were members of a tithing, to take an oath from them that they would not engage in illegal behaviour or endorse that of others, and to hear presentments. Membership of tithings was likely organized on a neighbourhood basis, and groups of tithings were associated together in wards, or leets. Only those of fixed abode, whether free or servile, could be in frankpledge; those who were itinerant (e.g. vagrants or fugitives) were naturally suspect, unlikely to find guarantors, and lacked property that could be distrained to oblige them to answer to justice. Important men were also outside the frankpledge system; their households formed a kind of tithing, its members being in the "mainpast" of the head of the household, who was answerable for their behaviour. Migration and freeholding (under which a man's property could become a pledge for him answering to justice) undermined the tithing system, although leet administration remained a useful component of judicial administration until the end of the Middle Ages. A type of court with a similar jurisdiction to view of frankpledge; it seems to have been the Assize of Clarendon (1166) that led to the amalgamation of presentments of crimes with administration of frankpledge. The leet was essentially the territorial aspect of frankpledge: numbers of tithings were organized into leets, or wards, which were normally sub-units of the hundred; in some towns, constabularies were similar sub-units. A leet might have its own court (as in Norwich) although more usually it simply made its presentments in a special (full) session of the town's hundred court. In less developed towns, the leet court might be essentially the legislative arm of local government. Offences were presented by a jury of capital pledges, also known as headboroughs (from "borh" meaning pledge), after the articles of leet jurisdiction were read out to them. These articles were typically concerned with breaches of the assizes of bread and ale and offences against the community – such as matters affecting public health and safety, private usurpation of public property (e.g. encroachments of buildings, or blocking of rights-of-way), and performance of public officials. The only punishment within the power of a leet court was the setting of amercements, the amount of each being assessed by a second jury (affeerors). As a result of this limited punitive power, the repetitive offences by the same individuals brought before leet proceedings year after year sometimes have more the appearance of a licensing system. Crimes of a more serious nature could also be presented (i.e. made public) by the leet jury, but were referred to higher authorities. In some towns the leet system was partially superseded by the constabulary system.